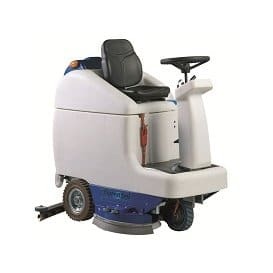 The Fiorentini C110 80B ride on scrubber dryer is ideal for use in food production areas, factories, warehouses, airports, hospitals and shopping centre environments. Based in Italy, Fiorentini have established themselves as a very successful business which has grown from strength to strength over the last 30 years. 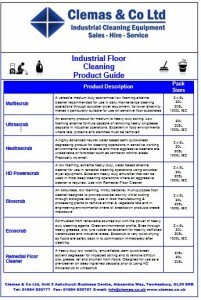 They supply cleaning machines such as scrubber dryers globally to places such as Europe, South America, Israel and Kuwait. Clemas & Co have been fortunate enough to be the number 1 distributor of Fiorentini floor scrubber dryers throughout most of England and Wales since 2013. Clemas enjoy a good relationship with Fiorentini and one of the reasons is that there are shared objectives such as the supply of quality floor cleaning machines and constantly striving to achieve the best possible customer service. Spare parts are supplied on a quick and reliable basis. Because Fiorentini manufactures most of the scrubber dryer spares themselves they are totally in control of the supply process, this means Clemas can supply spare parts and consumables with better than average efficiency and reliability.